Click on the photo to see additional photos and information! 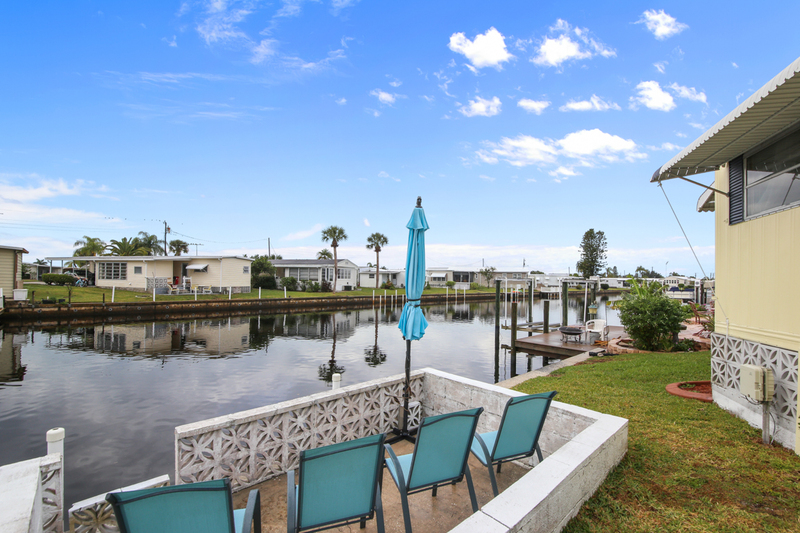 This amazing 2 bedroom 1.5 bathroom GULF ACCESS WATERFRONT home is perfectly situated along the Myakka River for lifestyle living at its best. The home has been meticulously renovated w/ charm, character & detail. The main living area offers an open floor concept providing comfortable arrangements for the living room & kitchen combination on top of new classy laminate flooring throughout, upgraded lighting fixtures, a brand new island, new kitchen sink, & tasteful cabinetry. The home has a split floor plan for privacy when family or guests come to town, the bathrooms have been totally renovated down to the studs including new electrical wiring, new vanities and new fixtures. Wake up each morning to impressive views overlooking the water from the master suite. The home has an inside laundry closet w/ washer and dryer for convenience. The Florida room w/ vinyl windows including air conditioning & heat is the place to be enjoying morning coffee or wind down from a day on the water w/ a glass of wine enjoying spectacular sunsets & direct views of the preserve/estuary. The home has been updated with all new doors, fresh paint, and new landscaping. The carport is big enough to fit two cars in the driveway. Enjoy an afternoon in the sun on your very own open dock along the river. This home is a must see! The home is priced to sell. This property has a share value of approximately 53k. 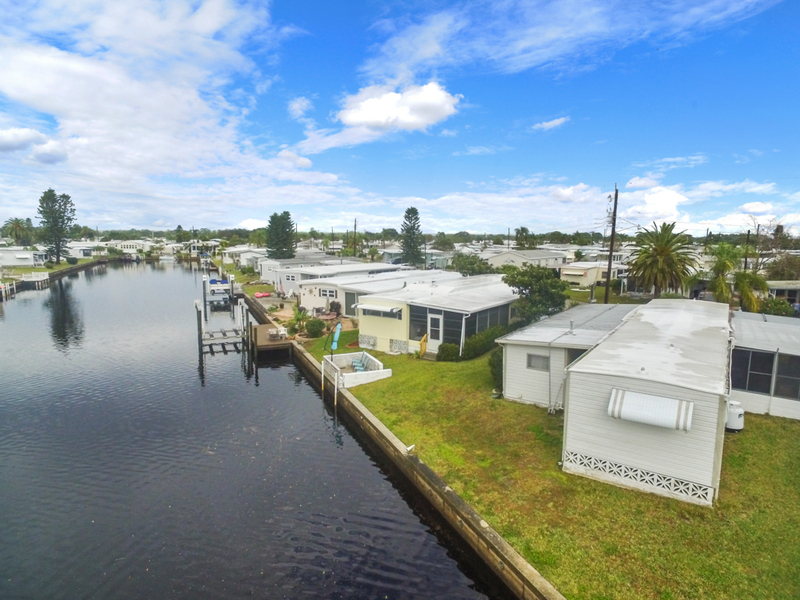 Harbor Cove is a top rated manufactured home community with top rated amenities. Please call to schedule a private showing today!